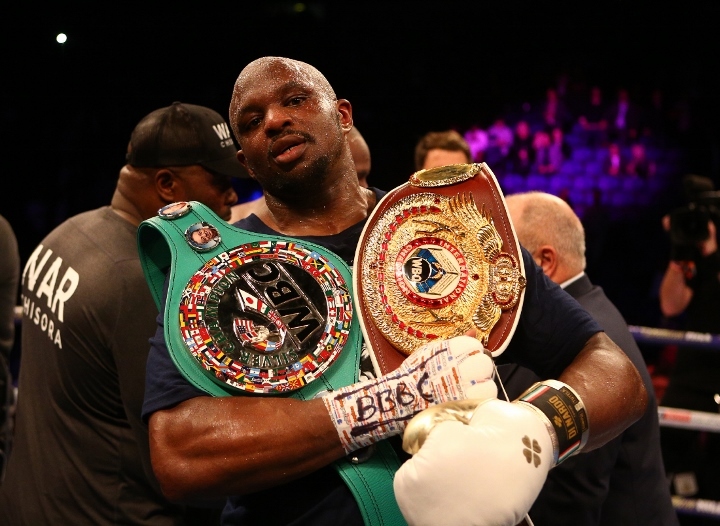 Heavyweight contender Dillian Whyte has lashed, in the escalating war of words with unbeaten cruiserweight Lawrence Okolie. On Saturday night, Okolie faces Wadi Camacho, with the British and Commonwealth titles at stake at the Copper Box Arena. The rift began after Okolie recently posted some footage of a sparring session with Whyte on social media, and made statements regarding his ability to beat the dangerous heavyweight. Whyte is not impressed with the career of Okolia. He believes the cruiserweight contender is very overhyped, because of the man who guides his career - IBF, IBO, WBA,WBO heavyweight champion Anthony Joshua. Without Joshua in his corner, Whyte believes Okolie would be a complete unknown in the sport. "Look, I don't have much time for sparring stories," Whyte told Sky Sports. "Sparring is sparring, but Okolie is living on another planet. The last boxer to make up a sparring story about me was Chisora and everyone saw how that ended. I only sparred Okolie twice over two days in 2015 and the second time he was very arrogant, so I put a little pressure on him and he folded and had to be helped out of the ring and miss his next fight because of his injuries. "Instead of trying to get my attention, he should concentrate on the cruiserweight division where he has already twice pulled out of fights against Richard Riakporhe who I 100 percent believe would knock him out. "Okolie is a complete hype job. He's already pulled out of two fights against Richard and that's before I even managed him. If I fought him, I'd snap him in two like a 'Twiglet'. Okolie and his handful of supporters call themselves 'Penny Bois', which is a great name for him as that's all he'll earn off boxing, pennies; as he has no real talent, no heart, no chin and nothing about him is likeable. He is absolutely right, Okolie is one of the worst boxers and also worst human beings in the sport you will see.